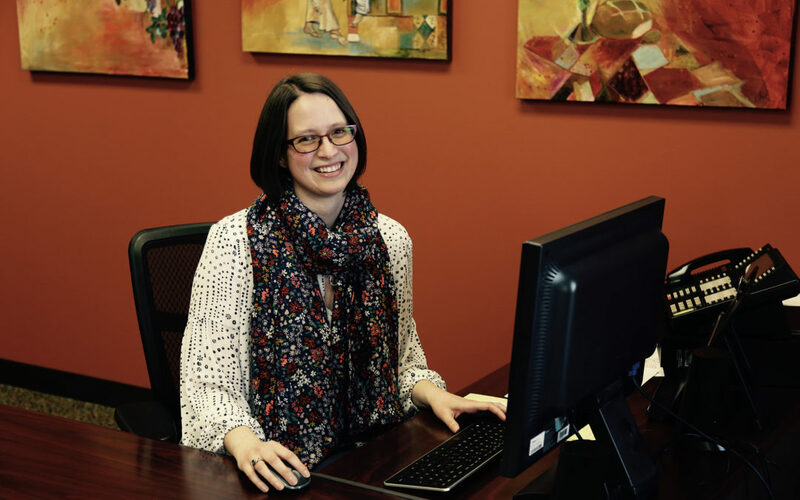 Christa Redmann is the CLB’s new Executive Administrative Assistant in the Office of the President. This means that she is now the first face you are likely to see when you enter the denominational offices, and the first voice you will usually hear when you call. Faith & Fellowship interviewed Christa with the goal of helping you get to know her to some degree even before your first contact with her. F&F: Christa, please tell us about yourself, and your formative experiences. Christa: I was born in North Dakota and raised in Menomonie, Wisconsin. I am the oldest of three girls and love how my family has gained two brothers, a niece, and nephew over the last six years. I also believe NASCAR is a sport, and claim children as some of my favorite people in the world. In my free time, you may find me reading, quilting, or working on curriculum. I grew up attending Oak Ridge Lutheran Brethren Church in Menomonie. The church introduced me to Inspiration Point Bible Camp. I was privileged to be a camper for five years and on summer staff for four years. Inspiration Point began to help me see God’s calling on my life to serve people, specifically his church. I served all four summers on support staff and was blessed in ministering through the details. I have also been honored over many years to be equipped, trained, and loved by my local congregations. During my time at Oak Ridge, I was given the opportunity to teach the junior high Sunday School class for two years. While in college, I attended Word of Life Church in Le Sueur, Minnesota and served with the youth group. Finally, over the last five years I have been attending Oak Hill Church in Bloomington, MN. There I was challenged through serving in Children’s Ministry and curriculum development. In these places, I formed friendships and was invited into the lives of the congregation. What a blessing to live life with others! If only I could name them all here! Plus, I was pointed to the cross and reminded daily of the work of the Holy Spirit on this earth. Psalm 139:7-10 became my high school graduation verse and it has followed me through these experiences and more. No matter where I go, God is there. In the lowest of lows and the highest of highs, his hand is holding me fast. F&F: As a young adult, what interested you vocationally? What education and experiences did you have prior to joining the CLB team, and how might they have prepared you for your work now? Christa: During high school, I became interested in psychology through my opportunities to serve at Inspiration Point and my local church. That led me to pursue a degree in psychology from Bethany Lutheran College in Mankato, MN. While earning my degree, I interned with a small research institute, which turned into a part-time and then full-time job after college. That opportunity really showed me how a small company works together, with all hands on deck pursuing one mission. From there I entered the field of higher education working in St. Paul at both Concordia University and Bethel University in the Registrar’s Office. I recently heard that the Registrar’s Office is like the plumbing of a house. When everything is working correctly it isn’t noticeable, but everyone notices when things aren’t working. I found this to be true as I gained and improved my skills in communication, organization, and time management. In just the last two years, I was also privileged to work part-time as the Children’s Ministry Coordinator at Oak Hill Church. This opportunity really solidified my call to serve in ministry in a full-time capacity. I was able to learn about event planning and to dig deeper into the mission of the CLB. Each of these positions has contributed to my passion for the CLB, my detail-oriented mind, and my desire to serve wherever I go. My career goal? I would say it’s to be the girl with ten pencils in her hair making sure the details are in place so others may live out their God-given gifts for the kingdom. I see this as fitting right into my new role and I couldn’t be more excited! F&F: What process led you to this new position? Why were you interested? Christa: I was first introduced to the position via a Facebook post on the Church of the Lutheran Brethren page. I honestly didn’t think much of it, but God kept bringing me back around. I had been on a journey since April 2016, looking towards the future and asking for God’s guidance on the next steps. I knew I wanted to be in ministry full-time, but wasn’t sure how that would look. As I walked through the process of applying for this position, it became more evident that God was providing an opportunity for me to serve the CLB in a full-time capacity. This greatly excited me as my love for the CLB mission has grown through the many congregations and people who have touched my life. F&F: Christa, your new job title is “Executive Administrative Assistant in the Office of the President.” Sounds like a lot of work! How will your strengths be utilized in this new role? Christa: I see this as a two-fold position; first, as an assistant to the Office of the President. It is always better to do things in a team and I am grateful that I get to serve on the team as we work for the mission of the CLB. Second, to assist the congregations of the CLB—whether this be through work with the Lutheran Brethren Seminary, the Yearbook, biennial conventions, or helping anyone with questions they may have. This utilizes my strengths of being both detail and people-oriented in one place. I am excited to both get to know the people who make up the CLB and find new and creative ways to keep the details in place. My prayer is that through this combination, the mission of the gospel remains the focus of all we do and are as the Church of the Lutheran Brethren. May the community of the CLB be built up so that we shine the light of Christ to the world around us! 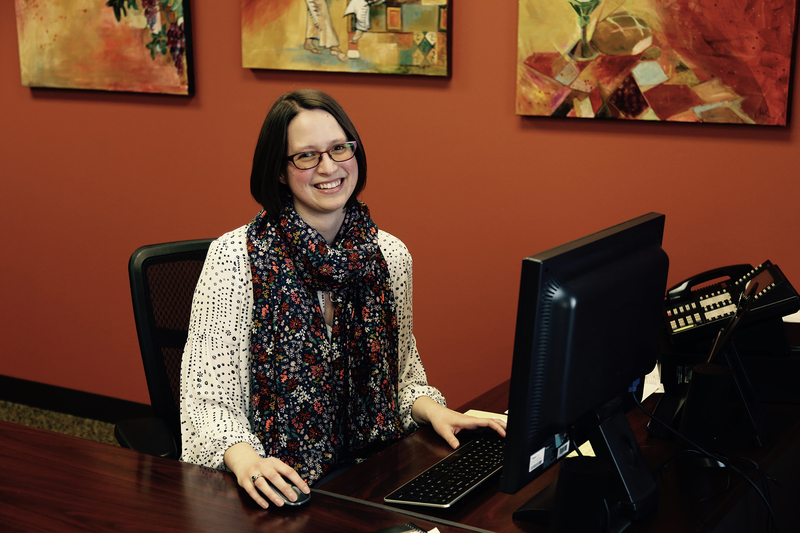 Christa Redmann is Executive Administrative Assistant to the President of the Church of the Lutheran Brethren.